The keynote session for the third day of the IOD conference features the authors of Freakonomics, Steven Levitt and Stephen Dubner. I've read their first book and it is an excellent read... I highly recommend it. The first part of the session then featured Mike Rhodin, Sr. VP IBM Software Solutions Group. He indicated that we are at the beginning of what is going to constitute massive changes to the way we look at and solve problems. He explained by talking about solutions for commerce that have changed over the last decade or so. The experience is vastly different today across the board. This is so in terms of how buying decisions are made, how buying is done, and how the transaction is completed. But how can we know what the customer of the future wants? The idea now is to look at how you can leverage things like social media to perform “sentiment analysis” to engage in conversation. By making it a dialogue instead of a one way street we can start this transformation. He talked about a Southwest flier who was dissatisfied by a delay and tweeted about it. A few days later a Southwest representative contacted him and offered him “something” to assuage his dissatisfaction. Although that is good, he said it would have been better if the Southwest rep was waiting for him at the gate at his destination. OK, but in my opinion, it would have been even better if the Southwest rep could have made contact before the plane took off (either on the plane or at the gate if they had not yet boarded). Next up was Brenda Dietrich, VP Business Analytics and Mathematical Sciences and IBM Research. It was good to hear from someone in the research group because they don't get "out" to speak much. Dietrich espoused the global reach of IBM’s research group with 9 major offices across the world and many more co-laboratories, which are smaller labs with the goal of working with more local talent. If it has to do with the future of technology, IBM Research is probably involved in it. Examples include nanotechnology, supercomputing and workload-optimized systems, cloud computing, and analytics. The future of the “smarter planet” is at optimizing individual systems, like an electrical grid. And then developing systems of systems where those individual systems interact with other systems. For example, where the electrical grid interacts with the traffic grid. Additionally, today things are being digitized and we are analyzing and reacting to this information. We are moving toward using this information to model and predict outcomes. She also discussed an analytics project called Smart Enterprise Executive Decision Support (SEEDS). It is a super-dashboard that IBM Research is working on. It incorporated a common data model with multiple IBM technologies to perform analytics that delivers better answers. Sounds exciting to me! And IBM Research has even created a computer that plays Jeopardy! The video she played that demonstrated that was very impressive. This is especially so because it understood the questions in natural language, which is very difficult for computers to accomplish. Then the Freakonomics dudes came out. And they were very entertaining. They took turns telling stories. Levitt is the economist and Dubner is the writer, but both were eloquent speakers who mixed information with humor extremely well. Dubner started out with my favorite story from their first book: how the legalization of abortion led to a decrease in crime. If that surprises you, you really need to read the book(s). Levitt followed and told the story of how adding social security number to the tax forms caused 7 million children to vanish from the face of the Earth. It turns out that Americans are very immoral and had created children for the tax deduction. Levitt had troubles believing this until he talked to his father and was told that he himself had lost two brothers! I would try to explain how they then moved from trying to teach monkeys to use money to a discussion of the proper pricing for prostitution services... but it would be far better if you read about it in their book(s). I know after seeing them that I am going to buy their new book, SuperFreakonomics. All in all, though, it was a thoroughly entertaining and education final keynote session at the IOD show. This video was shot by Rebecca Bond at the IBM Information On Demand Conference 2010 in Las Vegas. She was interviewing DB2 folks on what they do and the benefit they get from attending IOD. I am the third interview... but don't just skip to me! Listen to Melanie and Fred, too! As usual, IBM has put out a number of press releases in conjunction with the Information On Demand conference, and I will use today’s blog to summarize some of the highlights of these releases. First of all, IBM is rightly proud of the fact that more than 700 SAP clients have turned to IBM DB2 database software to manage heavy database workloads for improved performance… and, according to IBM, at a lower cost. By that they mean at a lower cost than Oracle. Even though the press release does not state that these SAP sites chose DB2 over Oracle, the IBM executive I spoke with yesterday made it clear that that was indeed the case. This stampede of SAP customers over to DB2 should not be a surprise because DB2 is SAP’s preferred database software. This might be surprising given that SAP recently acquired Sybase, but IBM notes that seven Sybase runs SAP on DB2. The press release goes on to call out several customers who are using DB2 with SAP and their reasons for doing so. For example, Reliance Life chose DB2 for the better transaction performance and faster access to data it delivered. Banco de Brasil, on the other hand, was looking to reduce power consumption and storage by consolidating its database management systems. IBM also announced new software that helps clients automate content-centric processes and manage unstructured content. The highlight of this announcement is IBM Case Manager, software that integrates content and process management with advanced analytics, business rules, collaboration and social software. IBM also enhanced its content analytics software. 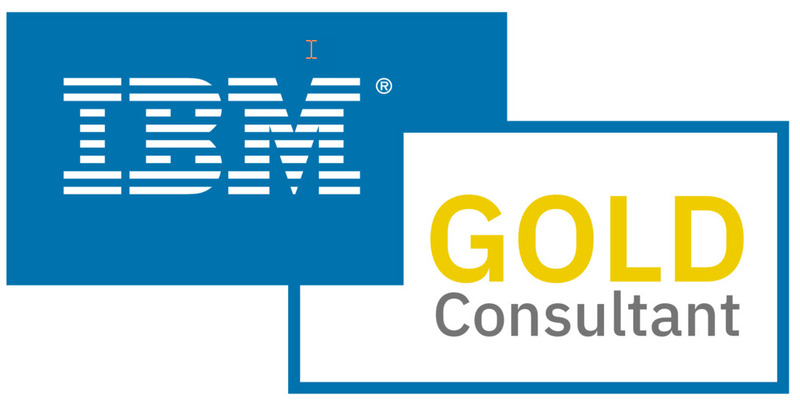 NTT DOCOMO of Japan is impressed with IBM’s offering. “With Content Analytics, we have an integrated view of all information that’s relevant to out business in one place regardless of where it’s stored,” said Makoto Ichise, Manager of Information Systems Department Group at NTT DOCOMO. IBM also enhanced its Information Governance solutions and announced further usage of it InfoSphere Streams product for analyzing medical data to improve healthcare. Today I attended the IOD conference and had the opportunity to listen to Jeff Josten present an technical overview of DB2 10 for z/OS. Even though information and specifications have been trickling out on DB2 10 for z/OS over the course of the past year or so, this is the first DB2 10 presentation I have attended subsequent to the GA announcement IBM made last week (announced October 19th, General Availability on October 22nd, 2010). So I’m fairly certain that everything Jeff will talk about will be officially part of DB2 10, instead of just the rumors, hints and allegations proffered prior to the GA announcement. I don’t think anything to be covered will surprise me, but we’ll see. One of the key value propositions is the deep synergy with the System z hardware. Because the code does not need to be ported all over the place, it can take advantage of the hardware capabilities that bring improved performance and efficiency. DB2 10 is being promoted as delivering 5 to 10 percent CPU batch and transaction performance improvement out-of-the-box; 20 percent for new workloads. And then an additional 10 percent when you start using new features. This seems to be the high-level talking point for DB2 10 – but that is okay, it is a very good one! DB2 V8 will go out of service April 2012. But with the ability to go staright from V8 to 10, I’m betting a lot of V8 shops will skip 9 altogether and go right to 10. But it looks like you have just under 2 years to get off of V8, though. DB2 10 takes advantage of many zEnterprise (the new mainframe announced a couple of months ago) features to deliver scalability. Examples include improved compression, cache optimization, blades for running the Smart Analytics Optimizer, etc. Jeff mentioned that we’ll be able to support 10 times more users by avoiding memory constraints in DB2 10. That is a big scalability improvement! DB2 10 went through the largest beta ever: 23 customers and more than 80 vendors. The focus was on testing production level workloads to ensure that the release is stable. That is different than past betas where the focus was on testing new features. And 22 of the beta customers are planning to go into production with DB2 10 next year. Impressive! Before diving into the technical details, Jeff mentioned that not much has changed versus what IBM has been talking about over the past months. A couple late add features include hash performance, BIND performance, REBIND not required for packages flagged as private protocol (but they will fail if they actually use private protocol), and a new ZPARM for default SEGSIZE for DDL compatibility. Post GA delivery items include APREUSE and APCOMPARE (for reusing access paths instead of using “hints”) because beta testing exposed some quality items, the ability to delete a data sharing member, inline LOBs for SPT01, online REORG concurrency for materializing deferred ALTERs, and some temporal enhancements (e.g. TIMESTAMP WITH TIMEZONE support). High performance DBATs (DDF threads) were forced to be RELEASE COMMIT. This gave good storage usage but at the expense of CPU for releasing resources at COMMIT and putting the thread back on the queue. For DB2 10, customers can use RELEASE DEALLOCATE which will keep the thread assigned to the distributed requestor so the next time he comes in he can reuse the thread. This is a nice feature for shops with heavy distributed usage. Another nice thing right out of the box is parallel index updating at INSERT. This used to be synchronous, each index modified one after the other. Now, the indexes can be modified in parallel, which should be a nice performance improvement for many shops! There is also a new buffer pool option for a “fully in memory” object for reading the data and pinning it in buffers. Don’t know about you, but I’ve been wanting that for years. Things that require a REBIND will include most access path enhancements, query parallelism improvements, IN list performance improvements, and Stage 2 predicates being pushed to Stage 1. And then there are things that require NFM and DBA work, such as hashing, index include columns, inline LOBs, DEFINNE NO for LOB and XML columns, MEMBER CLUSTER for universal table spaces, and online REORG for all DB2 Catalog and Directory table spaces. So it looks like our favorite DBMS is continuing to grow and expand offering high performance functionality and features that are unparalleled in the industry. Indeed, there is a lot of great and exciting new “stuff” on the way in DB2 10. After publishing the last blog post here on the topic of pesky problems that crop up when dealing with nulls, I received a comment lamenting that I did not address the IS [NOT] DISTINCT FROM clause. So today’s blog post will redress that failure. First of all, IS [NOT] DISTINCT FROM is a relatively new predicate operator, introduced to DB2 for z/OS in Version 8. It is quite convenient to use in situations where you are looking to compare to columns that could contain NULL. This coding would cause DB2 to return all the rows where COL1 and COL2 are the same value, as well as all the rows where both COL1 and COL2 are NULL, effectively treating NULLs as equivalent. But this coding although relatively simply, can be unwieldy and perhaps, at least not at first blush, unintuitive. A null represents missing or unknown information at the column level. A null is not the same as 0 (zero) or blank. Null means no entry has been made for the column and it implies that the value is either unknown or not applicable. DB2 supports null, and as such you can use null to can distinguish between a deliberate entry of 0 (for numerical columns) or a blank (for character columns) and an unknown or inapplicable entry (NULL for both numerical and character columns). DB2 represents null in a special “hidden” column known as an indicator. An indicator is defined to DB2 for each column that can accept nulls. The indicator variable is transparent to the end user, but must be provided for when programming in a host language (such as COBOL or PL/I). What Are The Issues with Null? Yes, even that last one is null, even though the mathematician in us wants to say “error” because of division by zero. So nulls can be tricky to deal with. At least that way users would have an option as to how NULLs are treated by functions. But this is not the case, so to avoid confusion, try to avoid allowing nulls in columns that must be processed using these functions whenever possible. Examine these rules closely. ORDER BY, GROUP BY, DISTINCT, and unique indexes consider nulls to be equal and handle them accordingly. The SELECT statement, however, deems that the comparison of null columns is not equivalence, but unknown. This inconsistent handling of nulls is an anomaly that you must remember when using nulls. Here are a couple of other issues to consider when nulls are involved. The result of this query will be NULL if no DEPTNO exists that is greater than 999. So it is not feasible to try to design your way out of having to understand nulls! If one of the products has its color set to NULL, then the result of the SELECT is the empty set, even if there are colors to which no other product is set.